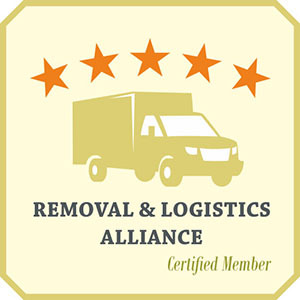 Call and book the top removal team available in London. Professional movers with excellent skills and years of experience. Send packages or small amount of items to anybody - fast, safe and secure. Relocate abroad in the simplest manner possible with no extra difficulties. We'll lend you a hand if you don't feel confident enough to pack your items. Opt for the most top tier moving team you can book in Greater London. The speedy completion and the safety of your items during a removal can only truly be guaranteed if you opt to book a professional moving team to handle your relocation in London. 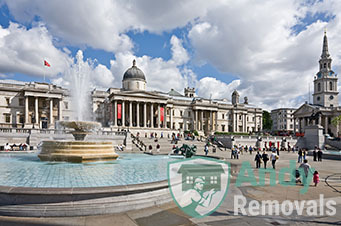 Andy Removals prides itself as one of the top removal businesses in the capitol and we have not only the confidence but also the experience, the specialists and the equipment to tackle on any domestic or commercial moving project. Additional services, including packing, furniture collection etc. It takes a quick phone call and your entire London removal will be taken care of by reliable professionals with numerous years of training and experience in the moving industry. Andy Removals will help you tailor the move in the best manner possible, helping you save time and money. You can call to request an accurate quote any day of the week. The secret behind the quality moving services we offer are the actual movers that carry them out. We went the extra mile to assemble the top team of London movers, who possess all it takes to safely relocate office equipment, household appliances, furniture, fragile items and many more types of items across the city. Having such skilled movers allows us to offer specialised moving services to both our private and business clients. Besides general moving you can hire our team to handle more specific tasks like delivery services (yes, even regular and contract deliveries), as well as speedy single item removals or shipping of a small collection of items. Whether you’re sending a TV you sold online to a buyer in London or you’re shipping a purchase to one of your company’s clients – we can handle the delivery fast, safely and with most convenience for you. It is not hard to enjoy top-notch removals in London and still be able to keep your savings untouched. The only thing that you will need to do is call us. 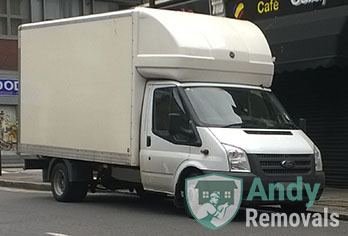 We, from Andy Removals, are well-known for our incredibly transparent pricing policy. Our customers never get unexpected surprises like hidden costs and undisclosed fees. That and our free cost estimate helps them to easily limit their expenses. Mind you, with us, cheap prices never mean cheap quality. Our trusted and friendly movers in London will work with great determination and attention to detail no matter the value of your relocation. London is considered by many to be the true hear of Europe. A city that is beyond just capitol of the United Kingdom, as the centre of the former British empire, London is one of the most important cultural, economical and political centres of the world. The City of London and in recent years – Canary Wharf are the main reason the UK capitol is one of the three major glocal financlial centres along New York and Hong Kong. But it is more than a place of money – here a visitor can find culture, art and centuries of history in places like The Tower of London, Buckingham Palace, The British Museum, The Natural History Museum and numerous other landmarks and places of interest. Just like most big cities in the world, London is home to many impressive skyscrapers. The tallest of them is The Shard which has a height of 306 metres, making it the third tallest building in Europe. However, the construction of high-rise buildings is restricted in some parts of the city.